It’s official: marijuana is now legal in Canada. As of today, Canadian residents are legally able to purchase and consume marijuana in Canada for recreational purposes. And for many, this is a day that has been a long time coming. The countdown to this momentous day in recent Canadian history has been on ever since Prime Minister Justin Trudeau’s June 20, 2018 announcement that marijuana would be made legal on October 17, 2018. This pre-election promise from Prime Minster Trudeau and the Liberal Party is one that has proven very popular with many Canadian voters, particularly those in the key 18-25 year old demographic. It remains to be seen what, if any, impact this legislative decision will have for the Liberal Party’s re-election campaign in 2019 but it is likely to curry favour with large tracts of the population. Legally purchase a range of marijuana-based products — including fresh and dried marijuana, as well as marijuana oils, plants and seeds for cultivation — from either provincial or territorial regulated retailer or a federally licenced producer. Possess up to 30 grams of dried legal marijuana or its equivalent in public. Share up to 30 grams of legal marijuana, legal marijuana products or equivalent with other adults. Cultivate up to four marijuana plants at home, with a maximum of four plants per household. However, it should be noted that both the Quebec and Manitoba provincial governments have opted not to extend this provision to their residents. In terms of domestic air travel within Canada, many airlines are currently evaluating their policies as it relates to passengers travelling within the country and under the legalized personal possession limits. A word of warning however, any international travel, via air or otherwise, with marijuana can land you in serious trouble and should be avoided. Prepare a range of marijuana-based products, including edibles, at home so long as no dangerous organic solvents are used. Again, it must be noted that marijuana edibles will, in all likelihood, not be legalized until 2019 because of a number of proposed legislative amendments to Bill C-45. Much like cigarettes, marijuana usage will encounter many of the same barriers that public smoking has faced in recent years. Similarly, when it comes to smoking marijuana at work, you need to remember that your employer has the final say on this issue. Regardless of the quantity of marijuana in question, it is illegal for non-licenced individuals to sell this drug to another adult. Doing so could see you facing a $5,000 fine, or up to 14 years in jail. The same punishment could befall any person who attempts to provide a minor with marijuana. Given the strength of provincial governments within the Canadian federal system, it should come as no surprise that despite the fact that the federal government has been responsible for the bill that legalized recreational marijuana, the 10 provincial and three territorial governments have the power to set their own rules regarding the implementation of today’s legalization legislation. The differences in implementation practices vary among the provinces and territories, with both minor and major variations expected. In terms of age-limits, much like alcohol, 18 year olds in Quebec and Alberta are now able to purchase marijuana, while their 18 year-old peers in all other Canadian provinces will have to wait until they’re 19 to avail of this opportunity. However, in Quebec, the recently-elected Coalition Avenir Quebec (CAQ) leader and incoming Premier, Francois Legault has stated that he will raise the age limit for consumption of marijuana to 21. If you want to grow marijuana in your own home, then you can lovingly nurture up to four plants, provided you are not resident of Manitoba or Quebec where this provision has not been put in place. Finally, some provinces — Quebec, Yukon and all Atlantic Provinces bar Newfoundland and Labrador — will control the sale of marijuana through government controlled stores similar to the SAQ in Quebec, while other provinces (Manitoba and Saskatchewan) will allow private retailers to control the market. A hybrid model will be in place in Ontario, British Columbia, Alberta, Newfoundland and Labrador and Northwest Territories, which will see private ‘brick and mortar’ stores combining with government-run online vendors for the sale of marijuana. 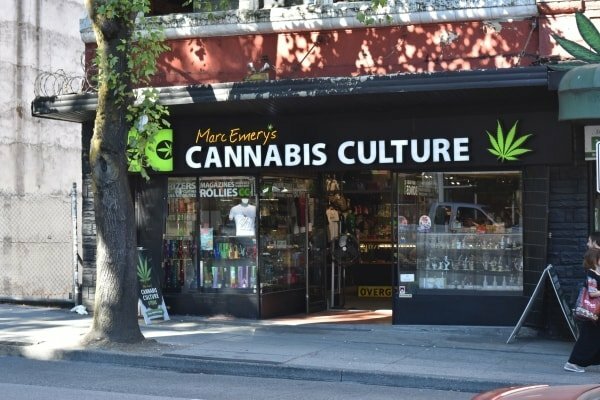 Regardless of how your province chooses to control the sale of marijuana, the reality is that it looks set to be a booming sector in Canada for many years to come. Following a detailed survey of residents across Canada between March 6 and March 20, 2018, account firm Deloitte has predicted that in 2019 Canadians will spend up to $7 billion on marijuana and marijuana-based products. Deloitte predicts that today’s legalization of marijuana will result in more 35-54 year olds entering the legal market, with the majority of this cohort expected to consume marijuana on average only once a month. A disparity is also expected on a provincial level with more people in Western Canada and in the Atlantic provinces predicted to purchase marijuana legally, while a slight majority of Quebec residents (53 percent) mooted to continue their access to marijuana illegally. The marijuana industry looks set to create thousands of jobs in a variety of sectors across Canada. The legalization of marijuana has led to a proliferation of new marijuana production companies, as well as an expansion of existing businesses, and this rapidly-growing sector shows no sign of abating. Evidence of this surge in demand for marijuana-related positions in Canada has seen Cannabis At Work — a staffing agency dedicated to facilitating employment needs in this burgeoning industry — inundated with job openings in sectors as diverse as marijuana growing and production to marketing and sales. More on-street stores, such as this one in Vancouver, are set to pop up across Canada. Much like the pioneers who travelled north to the Yukon in search of gold a century ago, there appears to be a massive opportunity for entrepreneurs who are looking to get actively involved in an industry at the ground-floor. After all, this sector has been valued as highly as $23 billion dollars by Deloitte when production, sales, transportation, security, tourism and taxation are taken into account. However, despite the many financial and cultural opportunities that the ever-expanding marijuana industry represent, the reality is that certain issues remain. One of the biggest problems that marijuana production companies face is an experience deficit when it comes to the growth and production of the drug. Until now almost all marijuana in Canada was produced illegally, and this has made it difficult for some businesses to find the perfect candidates to fill vacancies that they have. Another issue that some in the marijuana sector are apprehensive about is cross-border travel, particularly to and from the United States. United States President Donald Trump has made a southern border wall one of his main political priorities before and after taking office in January 2017. However, with the legalization of marijuana coming into effect in Canada today, some believe that a similar measure may be necessary to prevent the spread of marijuana in Canada moving south from the northern border. The government of Canada has maintained that dialogue with its US counterparts has been productive and stressed that US border agents do not plan on changing their primary inspection questions. That said, if US border agents have reason to believe that a visitor from Canada to the US has recently consumed marijuana or related products, then they will, most likely, pursue a more aggressive line of questioning. The fact that Canada is only the second country after Uruguay in 2013 to legalize marijuana is a testament to the sheer scale of this endeavor from both a legal and social perspective. Undoubtedly, certain challenges will exist, particularly in the early weeks and months of the legalization process. However, if the benefits are to be believed, then Canada has a real opportunity to be an international leader on the provision of safe, secure and legal recreational marijuana. For further info and analysis on changes to Canada's job market and more, create your Moving2Canada account. We'll give you a free Getting Started Guide just for signing up!